An influential figure for cartoonists and animators throughout the 20th century and beyond, Winsor McCay (1869-1934) is perhaps best known for the creation of the Little Nemo in Slumberland comic strip. First published on October 15, 1905, the weekly Little Nemo strip followed the adventures of a young boy named Nemo whose fantastical nightly dreams were detailed through the comic panels. His extravagant visions were not confined to any particular time or place and were often not based in reality. In any given week, you could fine Nemo fighting Native Americans, battling giants, enjoying a ride on an enormous condor, chopping down George Washington’s cherry tree of lore, receiving a kiss from a princess, visiting Jack Frost’s frozen palace, touring the countryside in the mouth of a dragon, or sailing alongside a band of pirates. 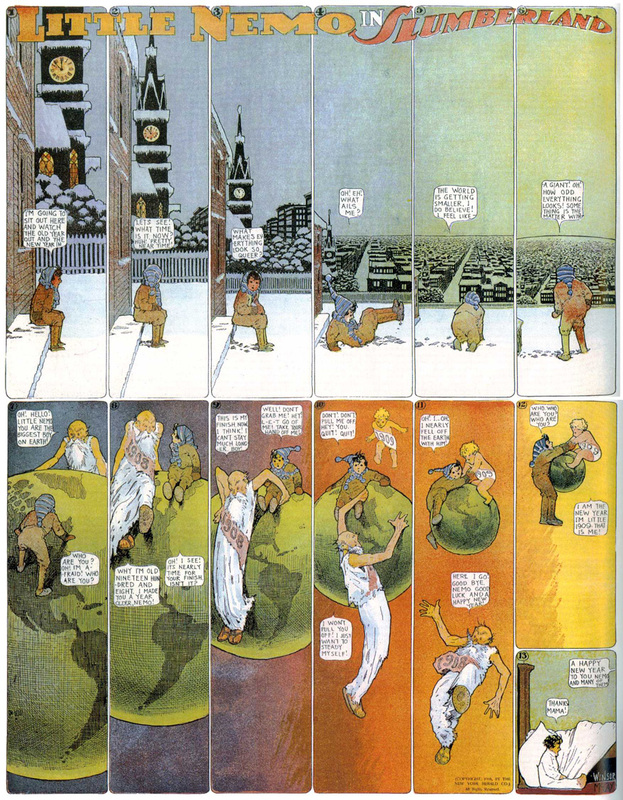 Each strip ends with Little Nemo’s awakening, through literally falling into bed, waking in fright, or through the rousing words of an adult. The comic strip displayed McCay’s mastery of depth of field, perspective, composition, use of color, and storytelling ability. Using a full-color 16 x 21 inch page of Sunday’s edition of The New York Herald, McCay experimented with an ingenious use of the newspaper page through creatively shaped panels of varying sizes that were altered to adapt each story. The strip was published between 1905 and 1914 and was followed by a short-lived revival in the mid-1920s. 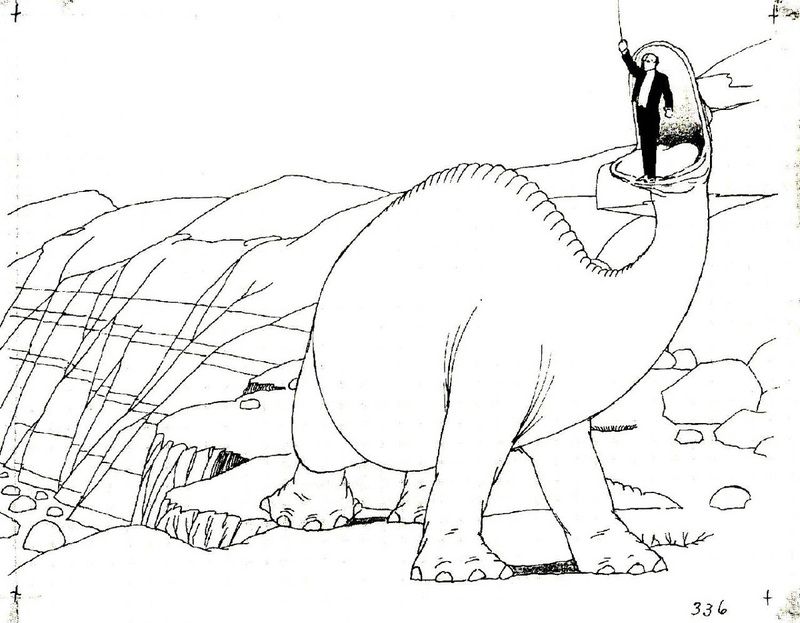 McCay’s other major creation is the animated film Gertie the Dinosaur (1914). One of the earliest examples of animation art in film, Gertie the Dinosaur, while primitive by today’s standards, featured many techniques later adapted by other animators. McCay used separate foreground and background animation that was later tied together to create the completed film. This successful technique soon became the standard for the burgeoning animation industry. McCay’s impact on the field of cartoons and animation cannot be overstated. In the hundred years since their debut, Little Nemo and Gertie remain examples of the power of illustration art. McCay’s legacy is evident in the films of Walt Disney and the cartoon creations of Warner Brothers and Hanna-Barbera, stop-motion animation, newspaper cartoons, and is perhaps most visible in the highly stylized work of artist Chris Ware. Blackbeard, Bill and Winsor McCay. Little Nemo: 1905-1914. Cologne, Germany: Evergreen, 2000. Braun, Alexander and Winsor McCay. The Complete Little Nemo: 1905-1909. Cologne, Germany: Taschen, 2014. Canemaker, John. 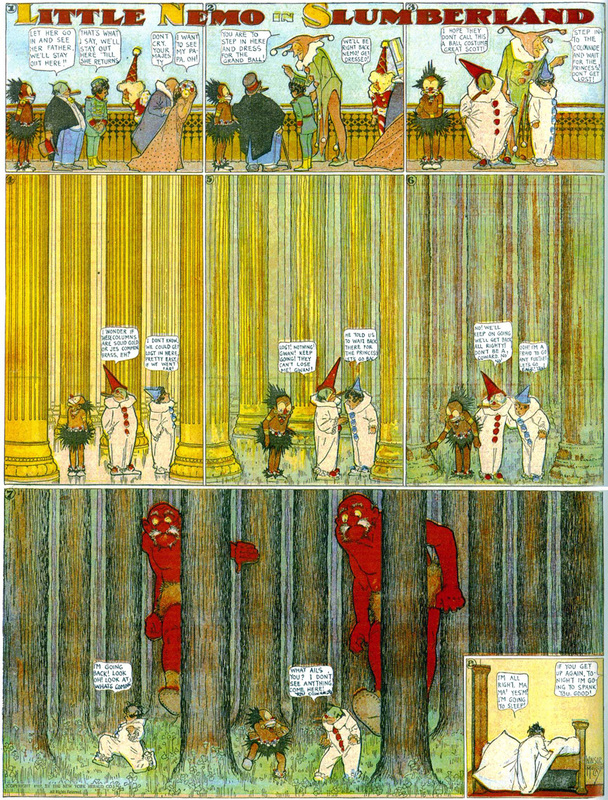 Winsor McCay: His Life and Art. New York: Abbeville Press, 1987. Maresca, Peter and Winsor McCay. Little Nemo in Slumberland. Palo Alto, CA: Sunday Press Books, 2005. Marschall, Richard and Winsor McCay. 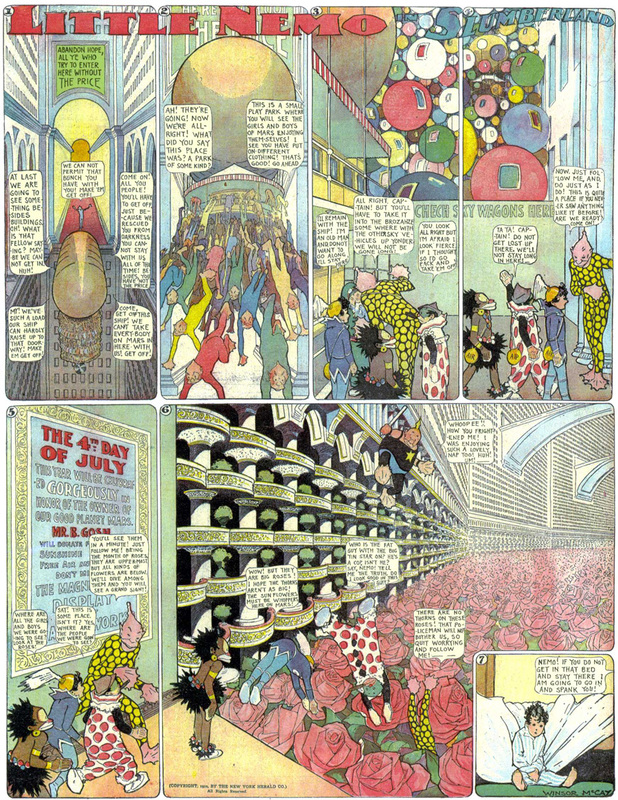 The Complete Little Nemo in Slumberland. Ardsley, PA: Remco Worldservice Books, 1988. Marschall, Richard and Winsor McCay. 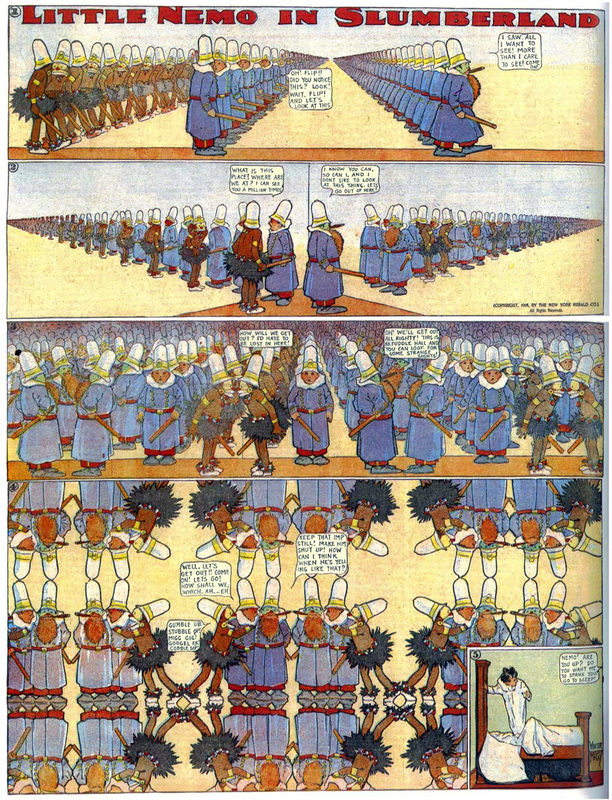 Daydreams and Nightmares: The Fantastic Visions of Winsor McCay, 1898-1934. Seattle, WA: Fantagraphics Books, 2004. Smolderen, Thierry. 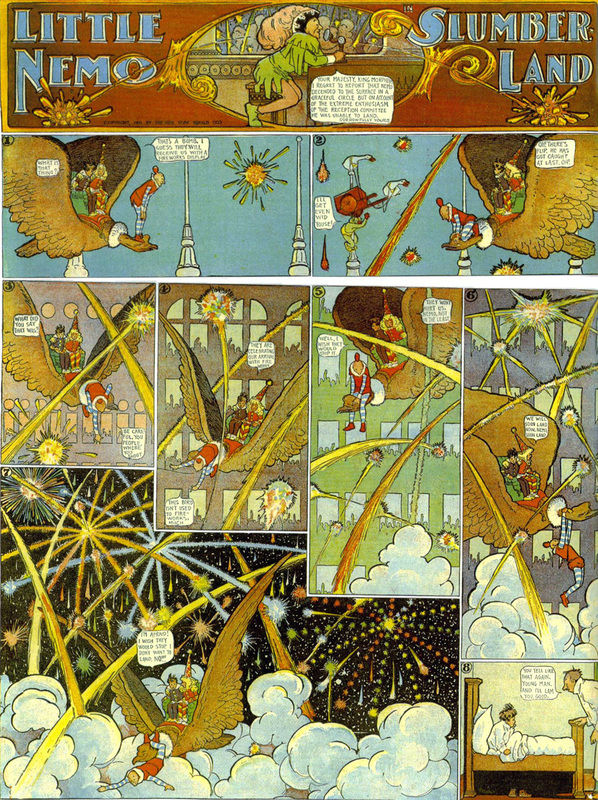 The Origins of Comics: From William Hogarth to Winsor McCay. Jackson, MS: University Press of Mississippi, 2014.